Been a challenging day in a number of ways, one of the days in which many small incidents add up to a huge total of frustration and irritation. I burned the broccoli, my ginger ale can was frozen and exploded everywhere, I dropped things, lost things blah blah blah and finally realized that I was quite simply tired and stopped working and took a two hour nap. I might have slept longer but the dog pushed the door shut and the chill woke me up. Now I am feeling reasonably human. Now, feeling much better and ever so much more functional, I'd see if I can catch up my journal a bit. For instance there was last weekend. On Saturday I attended memorial services for two long time friends. Both were at least 10 years younger than I. Another thing I've noticed about being older is that a lot of people you know die. Dropping like flies they have been over the last few years. Ran into another old friend who told me that two of his friends or family die every December. I have no idea if that's true or not. At both places I saw living friends that I seldom run into. I had not seen either of my deceased friends in a long time. One of them lived in Hawaii and the other had been ill for quite a while. There were no services which was certainly fine by me, just a gathering of friends and relatives to give those guys a good send off. The housekeeper had to cancel and so I've been doing some of the things she does, like floors. As always, crawling around on my hands and knees makes my back hurt, but the floors look great. The grandkids went back to school today after Christmas vacation. They stopped by after school and raided the fridge and said it was ok to be back to the regular schedule. The outside world is cold, dark and foggy. There is ice frozen on the inside of the front door. 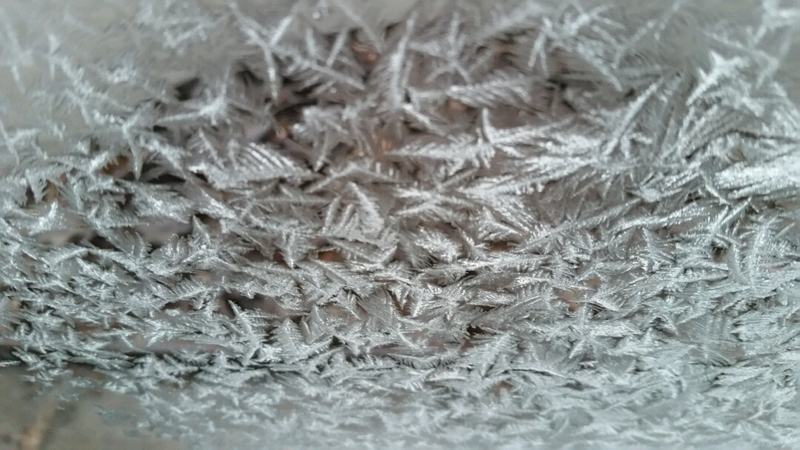 Jack Frost does do a good job and I enjoy the crystal patterns strewn across the glass. I'm just finishing #6 in Charles Todd's mystery series, "Watchers of Time." I'm pleased that there are quite a few more in the series because I enjoy binge reading. And, I'm quite in thrall with Detective Ian Rutledge, handsome and haunted, my kind of guy! Had lunch with the ladies on Wednesday. Great food. Short visit. 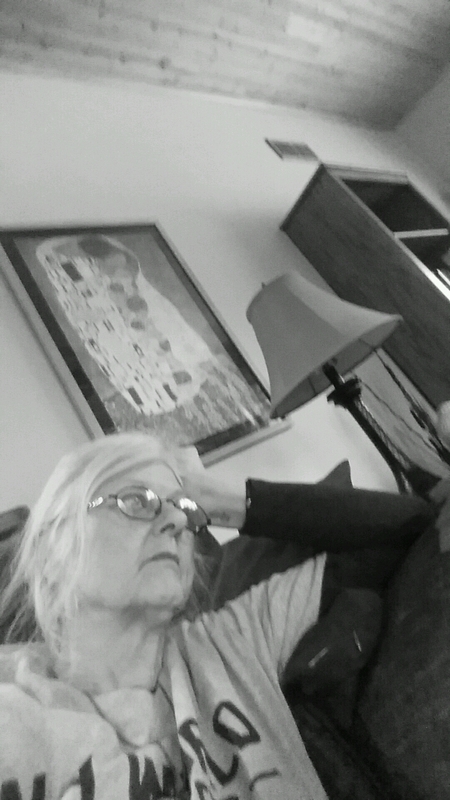 N had an appointment with the eye doc which revealed some retinal deterioration and netted her some new glasses. But nothing serious. Relief. I intend to do more sketching tomorrow.